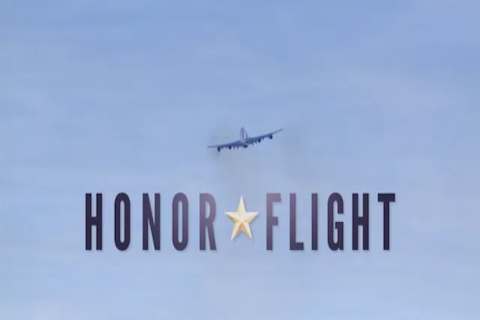 Honor Flight is a heartwarming documentary about four living World War II veterans and a Midwest community coming together to give them the trip of a lifetime. Volunteers race against the clock to fly thousands of WWII veterans to Washington, DC to see the memorial constructed for them in 2005, nearly 60 years after the War. However, 1,000 World War II veterans die every day and getting them on an Honor Flight in time is a constant battle. The film features Orville Lemke, a former plumber and beloved father of nine who fights to hold off terminal cancer so he can make the trip, and Julian Plaster, an 89-year-old poet who has survived almost all of his friends and family. As the Honor Flight trip unfolds, Orville, Julian, Joe, Harvey and others share their stories and wisdom. While the Honor Flight program is meant to give something back to these humble heroes, the goodness they embody and their appreciation for life in freedom, transforms the lives of everyone they meet. The film is a production of Freethink Media, directed by Dan Hayes and produced by Clay Broga.